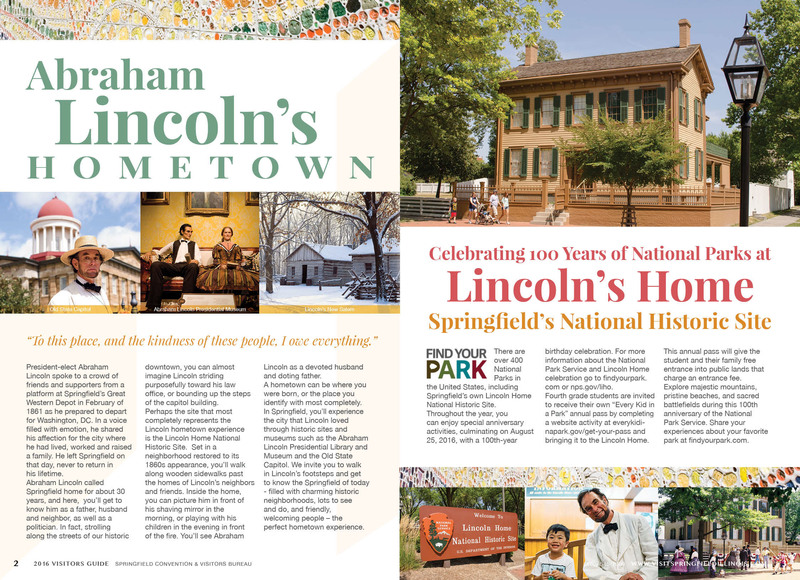 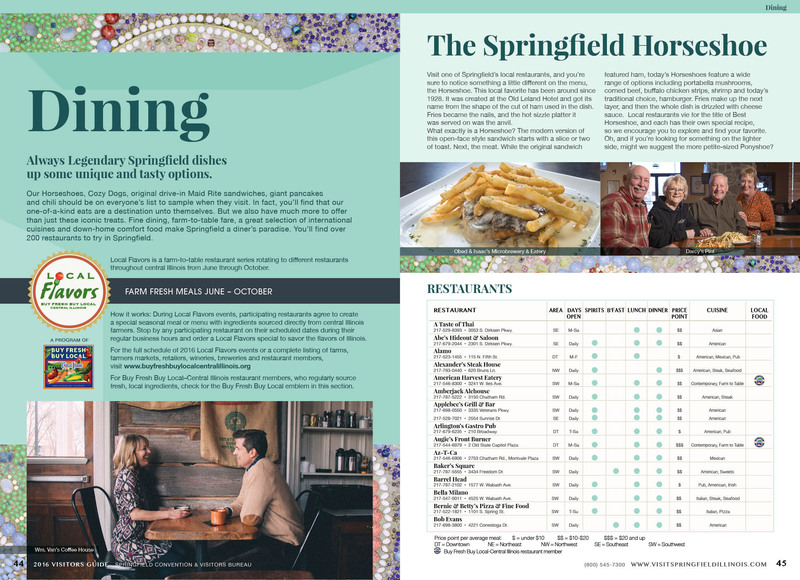 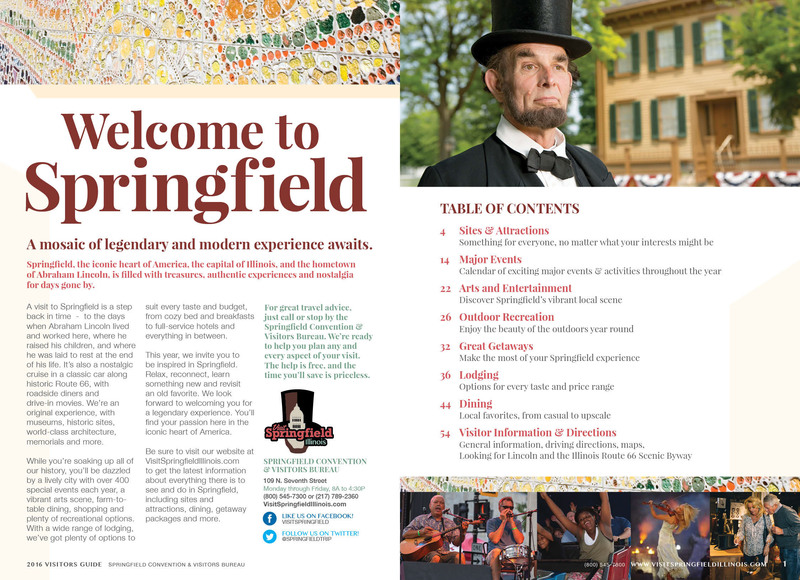 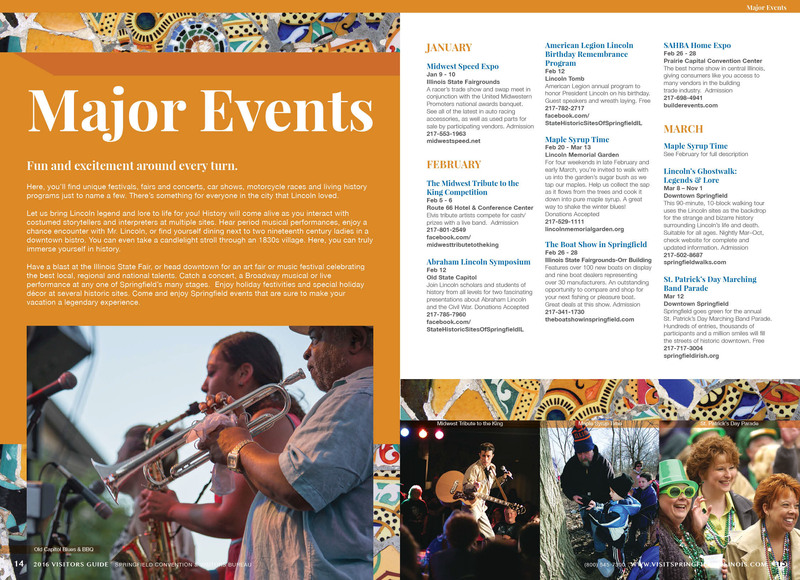 This annual guide was designed with the theme of mosaic, conveying the many aspects of Springfield; events, attractions, dining and more. 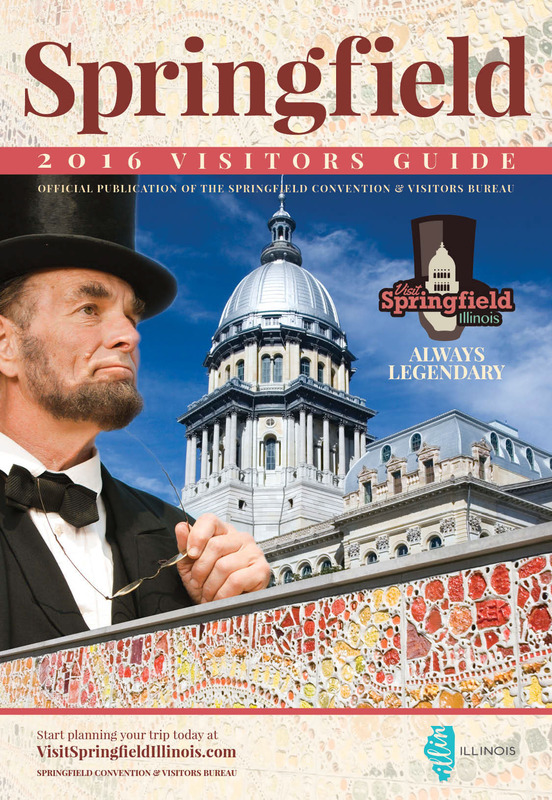 The state capitol was used in conjunction with an Abraham Lincoln image to emphasize the main tourism attractions in Springfield, Illinois. 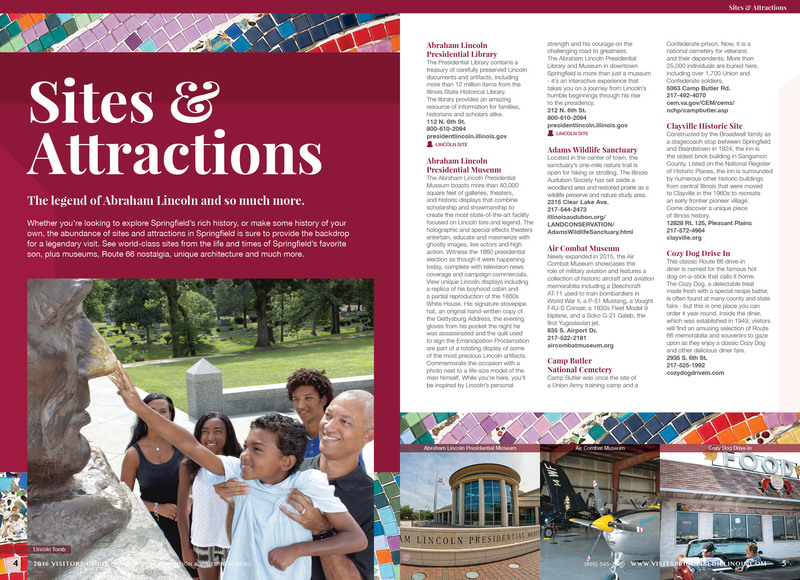 The brand colors were incorporated throughout the brochure, emphasizing the brand image and recognition.